Whether or not the retrovirus XMRV is a human pathogen has been debated since the virus was first described in 2006. The answer is now clear: the results of Blood XMRV Scientific Research Group, along with a partial retraction of the 2009 Science paper describing identification of the retrovirus in patients with chronic fatigue syndrome (CFS) show that detection of XMRV in patient samples is a result of contamination. The Blood XMRV group obtained new blood samples from 15 individuals previously shown to be positive for XMRV (Lombardi et al., 2009) or MLV (Lo et al., 2010) ; 14 of these were from CFS patients. Fifteen blood samples were also obtained from healthy donors. The samples were coded and sent to 9 laboratories for analysis. These laboratories (Abbott Molecular, Abbott Diagnostics, CDC, FDA/Lo, FDA/Hewlett, Gen-Probe, NCI/DRP, and WPI) conducted validated assays for viral nucleic acid, viral replication, or viral antibodies. Positive control samples were also included that were ‘spiked’ with XMRV, in the form of cell culture fluids from the cell line 22Rv1. Each laboratory was at liberty to choose which assays to carry out. Two laboratories reported evidence of XMRV in the coded samples. Only WPI identified positive specimens by PCR: two from negative controls, and one from a CFS patient. The FDA/Lo laboratory did not detect any positives by PCR, using the same nested assay that they had previously reported in their published study. The samples tested included 5 specimens that were positive in the Lo et al. study. Lombardi and colleagues have previously concluded that viral culture is the most sensitive method for detecting XMRV; however the FDA/Hewlett laboratory failed to culture virus from CFS samples. This laboratory did culture virus from positive control specimens, demonstrating the sensitivity of their methods. The FDA/Ruscetti laboratory recovered virus from 3/15 CFS samples but also from 6/15 negative control specimens. WPI did not carry out viral culture assays due to contamination of their cell lines with mycoplasma. Four laboratories tested the samples for the presence of antibodies that react with XMRV proteins. Only WPI and NCI/Ruscetti detected reactive antibodies, both in CFS specimens and negative controls. There was no statistically significant difference in the rates of positivity between the positive and negative controls, nor in the identity of the positive samples between the two laboratories. These results demonstrate that XMRV or antibodies to the virus are not present in clinical specimens. Detection of XMRV nucleic acid by WPI is likely a consequence of contamination. The positive serology reported by WPI and NCI/Ruscetti laboratories remained unexplained, but are most likely the result of the presence of cross-reactive epitopes. The authors of the study conclude that ‘routine blood screening for XMRV/P-MLV is not warranted at this time’. One of the authors on Lombardi et al., Robert Silverman, decided to reexamine some of the DNA preparations from CFS patients that were originally used to detect XMRV DNA by PCR. He found that all the positive specimens from CFS patients were contaminated with XMRV plasmid DNA. Therefore the authors of the original study have retracted Figure 1 (single-round PCR detection of XMRV in CFS PBMC DNA); table S1, XMRV sequences, and figure S2, phylogenetic analysis of XMRV sequences. A puzzling aspect of Silverman’s results is that XMRV plasmid DNA was detected only in samples from CFS patients, not healthy controls. This pattern would not be expected if the specimens were properly blinded, that is, coded so that the investigators did not know which were controls and which were from CFS patients. The authors offer no explanation of these findings. The paper reporting contamination of samples with XMRV is entitled ‘Partial Retraction‘. It’s not clear to me why the entire paper has not been retracted. After removing the PCR and nucleic acid sequencing results, there is no evidence indicating the presence of XMRV in the patient samples. The remaining experiments show detection of a retrovirus by cell culture experiments, and the presence of viral proteins or antibodies to the virus in clinical specimens. None of these findings prove that what is being studied is XMRV. 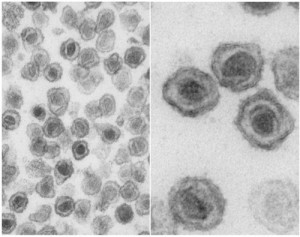 The title of the original paper ‘Detection of an infectious retrovirus’, XMRV, in blood cells of patients with chronic fatigue syndrome‘, is unsupported. In an accompanying article on the XMRV story entitled ‘False Positive‘, Judy Mikovits of WPI notes that “Anyone who says this is a lab contaminant has drawn the wrong conclusion and has done a disservice to the public”. She goes on to imply that a gammaretrovirus is likely involved in CFS. On the contrary, pursuing the CFS-gammaretrovirus hypothesis is a disservice to those with CFS, and detracts from efforts to solve the disease. There are no data to support such an association, and to suggest that a lab contaminant, XMRV, has pointed the way to a bona fide etiologic agent seems implausible. XMRV does not cause CFS. The virus arose in mice between 1993-96, and its detection in patient samples is clearly a result of contamination. Reaching these conclusions has required a long and often contentious journey that has highlighted the best and worst aspects of scientific research. There are many lessons to be learned from XMRV, but an important one is that science progresses not from the work of a single investigator, but from the collective efforts of many laboratories. XMRV reminds us to trust science, not scientists. It was promoted with a press release titled ‘Is Chronic Fatigue Syndrome a personality disorder?’, and got a lot of coverage. If you read the paper, you can see that the answer is ‘no’. Those with CFS are more likely to fulfil the criteria for a personality disorder than the healthy population, but not more likely that the control group with health problems. The paper acknowledged that previous studies comparing CFS and MS had also found the same levels of personality and psychiatric disorders. When personality disorders are diagnosed according to the individuals ability to fit in with society, it’s inevitable that those with chronic health problems will be more likely to fulfil the criteria, and when you look at the PDQ4 questionnaire used, this point is particularly clear. re PACE and CBT/GET – That the researchers started their study claiming that an SF36-PF score of 85 indicated recovery and a score of 65 indicated severe and disabling fatigue, yet by their press conference were claiming that patients with an SF36 PF score of just 60 should be considered back to normal, reveals rather more about the efficacy of the treatment they were promoting, and their honesty, than they might realise. We should not just trust scientific consensus, nor the abstracts of papers, and certainly not the claims researchers make in the press releases – particularly with CFS, but science does give us the tools and information needed to pick apart false claims. With CFS, we’ve seen a lot of bad science, where the prejudices of researchers have been imposed upon data that does not support their conclusions, and not nearly enough interest from sceptics keen to pick apart the misleading claims made about patients, but the scientific process has still provided us with some meaningful data, and allowed us to see how misleading the claims made by some ‘experts’ are. So long as there is so little interest in criticising poorly done papers which increase to the stigma and burden faced by patients, there’s going to be an ongoing culture of distrust between patients and the medical community. I had some hope that this might be starting to change, partially thanks to the XMRV story, but I’m not sure that it ever will. Trusting ‘experts’ and authorities helps simplify life, and I’m not sure how interested many are in engaging with the complexities and uncertainty of a condition like CFS, and pushing to hold those who have treated patients poorly to account. I have a reliable source (see attachment). That is something you cannot change. Yet you say that they didn’t touch them. 3. The test results do not match. This shows that they had VP62 in their labs. That is not a source. Cohen is not a scientist. And what don’t you know, the VP62 plasmid was never in the WPI or NCI labs. Are you again questioning the integrity of Frank Ruscetti, Mikovits and Silverman by suggesting they would always go out of their way to correct falsehoods like yours and if they didn’t you would want people to think they lied? They haven’t done that with several studies either, so who do you think you are to question their honesty. I gave you contact info and Frank has apparently refused to contact me. Looks like your comments have made you untrustworthy. The VP62 plasmid was never in the WPI or NCI labs. That is Silvermans assay, performed in Silvermans lab, that you are incorrectly quoting. The VP62 plasmid was not in the WPI or NCI labs. The WPI used VP35 for Nested RT-PCR. Fractions of patient samples who had tested positive for gag sequences by reverse transcriptase nested PCR were exported to the Cleveland clinic for sequencing. When the retained fractions were independently examined they did not contain the VP-62 plasmid. Following single round PCR at the Cleveland clinic the exported fractions were found to contain the VP-62 plasmid. Dr Silverman made an honest mistake and was brave enough to reveal it. You think that Busch is going to be happy that he didn’t add Trizol to the PBMCs so that the WPIs assay was defeated due to the viruses being degraded. I’m sure he doesn’t like you making light of it. Where is your proof that WPI never had VP62 plasmid? Are you working at the WPI to be able to say that? The VP62 plasmid was never in the WPI or NCI, that is not hard to understand, even if you post the above without understanding it. You should understand this. Fractions of patient samples who had tested positive for gag sequences by reverse transcriptase nested PCR were exported to the Cleveland clinic for sequencing. When the retained fractions were independently examined they did not contain the VP-62 plasmid. Following single round PCR at the Cleveland clinic the exported fractions were found to contain the VP-62 plasmid. Dr Silverman made an honest mistake and was brave enough to reveal it. RRM studies like this would not allow work that took place outside of the study, which was to see if there was a blood test that could be high throughput. There isn’t. They have nothing that will protect the blood supply and find all HGRVs. Where is your proof that WPI never had VP62, when theypublish exactly the contrary in the supporting online material to their 2009 Lombarid et al. paper (did you actually read it?). Have you seen the latest post by ERV? XMRV and chronic fatigue syndrome: For your enjoyment– A magic trick. XMRV kind of a moot point. I say repeat the experiment, compare the new results with the old and then move on. Why do you keep writing this? Trizol is a preservative agent for RNA, not viruses. Retroviruses don’t require Trizol preservation. This claim shows that you have no idea what you’re talking about, and have no research experience. Note, too, that in the partial retraction, supporting online material, it states in reference to Silverman’s group at Cleveland Clinic: “In particular, neither plasmid XMRV VP62/pcDNA3.1(-) nor XMRV PCR products were ever taken into the clean room.” I also refer you to figure 3 in the original supplementary material for Lombardi et al., which adds more details about the use of VP62 for serology tests.’http://news.sciencemag.org/scienceinsider/2011/09/insider-looking-out-how-people.html#sci-commentsEarlier today. Unless Jon Cohen was replying to you, you might not have seen this. All of the sequences the Whittemore Peterson Institute uploaded to Genbank were identical.They were not only identical to one another, they were identical to an infectious molecular clone of XMRV, VP62. There is no research data or paper to date that proves HGRV causes ME. To state otherwise is sheer lunancy! Silverman sent the WPI VP62 plasmids in 2007 (before they ‘found’ XMRV in patient samples. The CFS samples that left WPI were contaminated with VP62 pasmid prior to Silvermann lab receiving them in 2009. Lombardi paper states all of these ABs detected the human VP62 XMRV strain grown in human Raji, LNCaP, Sup-T1 cells (fig. S3)(5). Silvermans lab found VP62 plasmid in their samples. Which means the positives Silvermans lab reported in 2009 were all because of plasmid contamination. The positive results were NOT the result of real infection. You’ve tried that lie before. Under a different username. Nature. 1984 Dec 20-1985 Jan 2;312(5996):757-60. Molecular cloning of lymphadenopathy-associated virus. Alizon M, Sonigo P, Barré-Sinoussi F, Chermann JC, Tiollais P, Montagnier L, Wain-Hobson S.
OWE, the WPI and NCI, even thought you refuse to accept this, never have had VP62 plasmid in their labs. The VP62 plasmid has never been in the WPI or NCI labs. Several varieties of retroviruses do have highly conserved regions. They don’t use reverse transcriptase to propagate and thus there diversity is small. HTLV has a 1% change over 1000 years in the whole genome. The samples that Silverman had were contaminated with the VP62 plasmid, the samples when sent were not contaminated with the VP62 plasmid, and the VP62 plasmid has never been in the WPI or NCI labs. Silverman never sent the WPI or NCI the VP62 plasmid. RRM, you are a true soldier, thanks for taking the time to discuss with crazy people. keep up fighting propaganda for all of us!! I mean, really he’s making the same argument that CFS patients were originally arguing…. a single lab cannot be counted on to accurately test for a negative like that…. Sucking money up for research that is clearly debunked is a disservice to those CFS patients. Take a step back and remember that the entire team at virology.ws pushed this research when few else would. It has been given a fair run, but it does not appear that XMRV/HGRV/HGTV is the culprit. Yes, you can see that the last images on there have been shifted. Trizol is a monophasic solution of phenol and guanidine isothiocyanate. It’s used mostly in RNA isolations from cells or other tissue samples mostly because phenol is a potent disruptor of cell membranes and guanidine isothiocyanate is a protein denaturant. If you add this solution to a virus prep or cells, you cannot use those specimens for further culturing. Sure, you’ll be preserving the RNA in these specimens but most of the proteins would be denatured and cell membranes would be disrupted leading to destruction of the cells and the virus. Hence, Cells don’t degrade without Trizol, they degrade with Trizol. If your sole purpose is to isolate RNA from cells then Trizol would be a great addition to your specimens for RNA preservation, but if you’re planning on doing other experiments, it’s a bad idea to use Trizol. Obviously if you don’t know what Trizol is (or understand what its ingredients do) you’d be like the above poster; keep repeating something you heard from an uninformed person. This definitely convinced me that you have no idea what you’re talking about. There is no retrovirus (or a region of retrovirus) that doesn’t use reverse transcriptase. How about if they changed “XMRV” to “HGRVs” in the title of the paper instead of retracting the paper? The data support that title, right? Dr. M says she will reveal the sequences of the HGRVs she found in about a week. So then we can just substitute those sequences in for “XMRV.”Cleveland Clinic’s understandable mistake doesn’t impugn the rest of the paper, Ruscetti or WPI. So why all the attack on Lombardi et al and WPI because of the partial retraction? I would REALLY like to see you prevent PBMCs from “degrading” using TRIzol. I think you’ll find it kills them instantly! Just get hold of some and give it a (cautious) sniff…. You can’t demonstrate and antibody response out of a sample preserved in TRIzol…. is that what you were implying? You can’t demonstrate AN antibody response out of a sample preserved in TRIzol…. is that what you were implying? Interesting. Nothing to back up the claim, with contrary sources. And still it comes up. Again, and again, and again. Like a broken record. I’m afraid no one does trust either any more. We need to trust science, trust scientistS and be skeptical of the lone ranger scientist. The lack of trust in the first two cause ‘denial’ when the scientific debate is nearly complete or better. Evolution, climate change, ozone hole, second hand smoke, acid rain are but some examples of how collectively scientistS CAn and need to be trusted. As a group, not as individuals. Perhaps this is one aspect of trusting science. I’m afraid the pendulum of trusting experts in a a field is at an all time low. I think this destructive. That was a horrible first sentence, sorry. I’m too scared to reread the rest. Hope you understand what I meant.